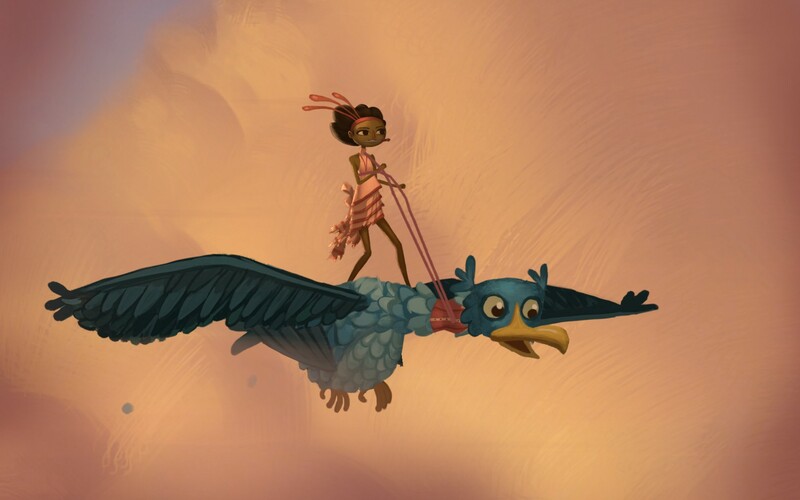 The Refined Geek » Broken Age: Freedom, Hard Fought For. 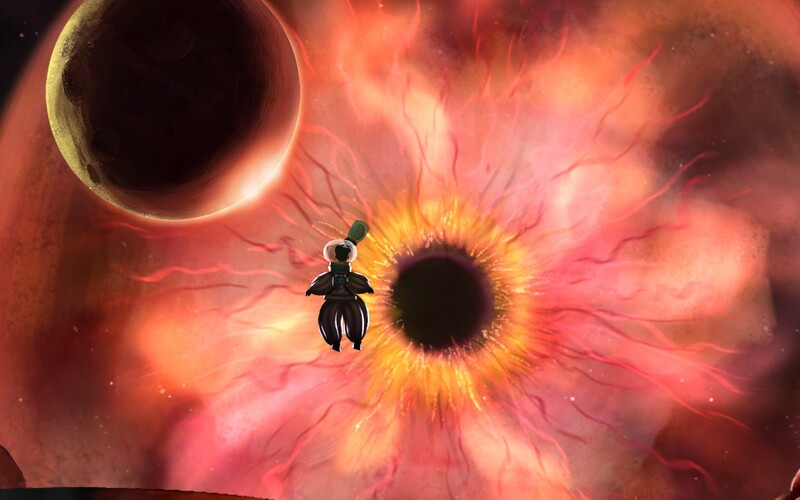 Broken Age: Freedom, Hard Fought For. There’s no question that the Double Fine Adventure was responsible for showing that the Kickstarter model could work for games. The now miserly looking target of $400,000 blew by quickly and the final tally saw it being funded a whopping 800% over what they initially hoped to grab. Now I’ll have to be honest here, I wasn’t completely convinced that it would be worth backing because whilst I appreciate Tim Schaefer’s ability to make games people love I just haven’t been a big fan of his. My mind was changed slightly after I played through The Cave however and when Broken Age came up in one of the Humble Bundles I figured it was worth the price of admission and the first chapter was released just recently. 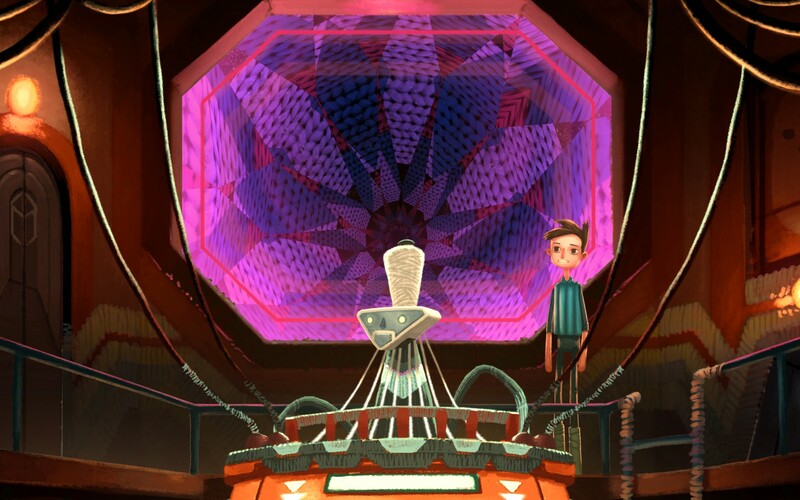 Broken Age puts you in control of one of two characters. I initially chose to be Shay (voiced by none other than Elijah Wood), a young man who seems to be the only passenger on a vast space ship. It’s not your regular kind of space ship however as everything seems to be very….childish with animated stuff animals running around and all the controls reminiscent of Fisher Price toys for toddlers. Indeed this spaceship seems to act more like a prison than a safe haven as the overly motherly computer foils any attempt that you might make to break the monotony. At any time though, should you want a change of pace or you’re stuck on a puzzle that just doesn’t seem to have a proper solution, you can switch over to Vella, a young woman who has been given the honour of participating in the maiden’s feast. Nearly all your family is incredibly excited for you with the notable exception of your grandfather, a grizzled war veteran from a time long past. As you start to enquire about what the maiden’s feast actually entails the shocking truth comes out: you’re to be eaten by the huge beast Mog Chothra in order to appease him and avoid conflict with the village. Understandably you don’t want anything to do with this and vow to defeat Mog Chothra once and for all. The art style of Broken Age is simply delightful with every scene exuding this feeling of meticulously hand painted scenes coming to life before your eyes. I’ll admit that the start I felt it was somewhat simplistic but as you play through you get a real feeling for just how detailed many of the scenes are, especially the ones that contain puzzle elements. Indeed when you revisit places throughout your adventure it becomes apparent just how much detail is there which you simply didn’t notice on the first time through. The art style also fits the slightly whimsical nature of the game which makes it even more impressive to me as I’m not usually one for that kind of style. Broken Age is your typical point and click adventure game where you’ll spend your time shuffling your character around the environment, looking for things to interact with and solving various kinds of puzzles along the way. Unlike other titles in this genre Broken Age doesn’t attempt to put a unique mechanic or twist on the way the game plays through so it is really, truly an old school point and click adventure. Double Fine has gone to the effort to eliminate the inventory hell that plagued traditional point and clicks but apart from that the game would not be out of place, mechanically at least, if it was released a decade or two ago. For the most part the puzzles are pretty rudimentary, usually requiring you to have the inquisitive kind of mind that long time players of this genre will already have. Most of the time you can solve the puzzles by simply clicking around and finding the things you can interact with and, should that fail, a quick rummage through the inventory typically gets you out of trouble. The final big puzzles of both Vella and Shay’s story lines present more of a challenge, definitely requiring you to think non-linearly, but they provide the lone challenge in an otherwise rather easy game. One tip I’ll give without spoiling any of the story line is that, as far as I could see, there was one and only one solution to some puzzles. There were a couple times when I had thought that I had achieved a certain goal without needing to take a certain (seemingly obvious) path but found out later, after coming up blank on every other path, that I needed to do the obvious thing in order to progress. Thus if you think you’ve managed to skip over a section or picked up a useless inventory item you’re wrong and there’s something you’re missing. However harping on the rudimentary-ness of the mechanics and complaining about how I over-thought some of the puzzles is a distraction away from the real core of Broken Age: its story. Initially I thought it was rather superfluous and poorly written, mostly due to me choosing Shay’s path first, however as you play on you realise that’s the point of that section and it’s setting you up for the grander plot. What follows is a beautiful story of two people looking to overcome tradition, in one way or another, attempting to cast off the shackles that have bound them since birth. I will lament the fact that it’s episodic though as whilst I thought at one point this would be the future of games I always find myself wanting to play the whole thing through and grow disinterested in it between the lulls in content. This is not a fault of the game per se, more a gripe from a person who loves to envelope themselves in a game from beginning to end as one continuous experience. I understand the reasons for releasing Broken Age in this way but I would have not been mad if I had to wait another year to play the whole thing in its entirety. 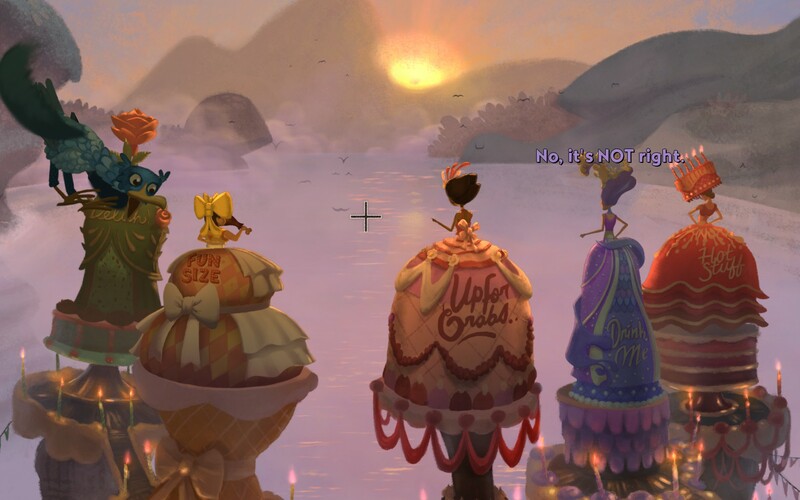 Broken Age is a wonderful game, combining a whimsical art style with the tried and true adventure game play that Tim Schaefer is well renown for. It stays true to its genre, eschewing the current indie norm of adding in mechanics to distinguish themselves and instead opts for the more seamless improvements, ones that long time adventure gamers will be thankful for. 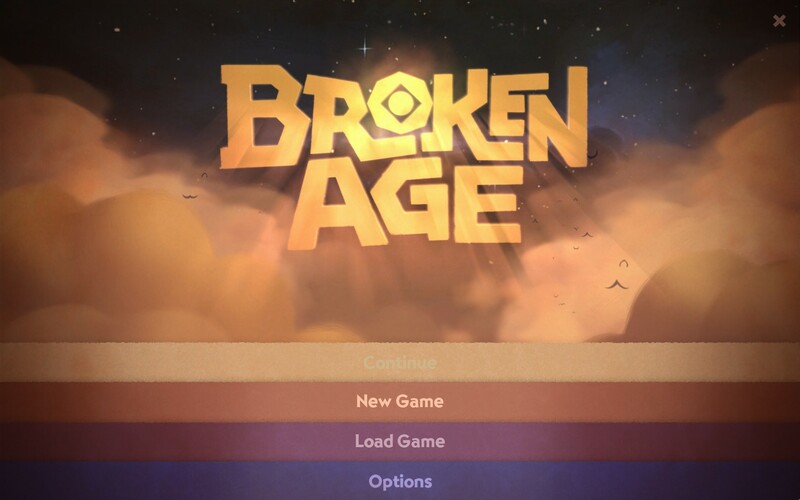 Broken Age is definitely a game for the fans of Tim Schaefer and the adventure genre so I’ll stop short of recommending everyone play it but should you fall into either of the 2 previous categories then it’s definitely worth a look in. Broken Age is available right now on PC for $24.99. Total play time was approximately 3 hours.